Cargado por djoik. - Ver más clips de música, videos en HD! * Lo que me gustó de ella y me gustaría compartir con tod@s vosotr@s es la esperanza, la fe en que después de la tormenta llegue la calma, y también el valor del compañerismo y la amistad. * What I liked about this song -and would like to share with all of you is hope, faith about calm coming after the storm, as well as the value of comradeship and frienship. La canción, de Rodgers y Hammerstein, fue grabada originalmente para el musical Carousel, siendo adoptada como himno por varios equipos de fútbol y otros deportes. Esta versión es de Lee Towers. Y la dulce y plateada canción de una alondra. Aunque tus sueños se rompan en pedazos. Junto The Corrs una banda irlandesa formada por cuatro hermanos que practican una combinación entre la música tradicional irlandesa y el pop contemporáneo. Luciano Pavarotti & The Corrs - O Surdatto Nammuratto - Live al Pavarotti & Friends for the children of Liberia - Modena, Italy, 1998. No sólo para el nuevo año, sino para siempre en general, os deseo a todos mucha libertad. La libertad es una, aunque abre posibilidades infinitas. Este mundo físico y cuantificado está lleno de límites (salud, tiempo, dinero, la idea de que el bien de unos está reñido con el de los otros, incluso la idea de que uno se puede distinguir nítidamente del otro....etc...etc...) que frustran nuestra libertad, pero nosotros estamos llamados a algo mucho mejor, nuestra alma eterna es eterna, infinita, los límites, del tipo que sean suponen un insulto a nuestra verdadera esencia. A veces, por motivos prácticos, y como respuesta a la demoledora fuerza de la realidad física, nos dejamos llevar por lo material e inevitablemente caemos en una visión del mundo en la que nosotros somos simples seres materiales, que sólo podemos ser felices si alcanzamos aquello que llevamos persiguiendo años infructuosamente; se nos olvida que la felicidad está en un lugar recóndito de nuestro interior, hacia el que, sin embargo, hay más accesos, y más fáciles, de los que a veces pensamos. Uno de estos caminos es la meditación, otro es la ayuda a los demás, lo que nos permite no sólo contribuir a su bienestar sino también al nuestro (todo el mundo tiene algo que le impide ser libre: para unos, las ataduras se derivan de tener que invertir varias horas al día en conseguir comida o agua, para otros la carrera irrefrenable por mantener un trabajo o las barreras que uno mismo se ha puesto para evitar ver lo incómodo de la realidad que le rodea...), y no sólo todo el mundo puede ayudar, sino que todo el mundo puede recibir ayuda. Eso es simplemente porque somos todos parte de lo mismo. 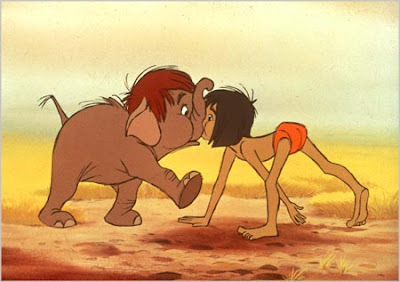 Si uno tiene la oportunidad de saltarse las varias barreras que nos separan del "camino", y lo puede recorrer aunque sea un poco, sentirá enseguida que al final de éste están todas las cosas que siempre ha considerado importantes (Amor por los demás, Paz, Salud...), comprenderá que todas las otras cosas que creía necesarias en el fondo no lo eran, y sentirá la Libertad. La Libertad, la Paz y el Amor son tres formas de decir lo mismo, y uno lleva al otro automáticamente. The more we look among the stars and galaxies, the weirder things seem to get. Even space itself is puzzling, for example. Recent studies suggest that the fabric of the universe stretches more than 150 billion light-years across -- in spite of the fact that the cosmos is 13.7 billion years old. From super-fast stars to the nature of matter, here we cover other strange and mysterious elements of the universe. If you've ever gazed at the night sky, you've probably wished upon a shooting star (which are really meteors). But shooting stars do exist, and they're as rare as one in 100 million. 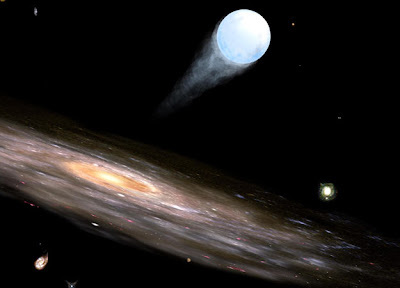 In 2005, astronomers discovered the first "hypervelocity" star careening out of a galaxy at nearly 530 miles per second (10 times faster than ordinary star movement). We have ideas about what flings these rare stars into deep space, but aren't certain; anything from off-kilter supernova explosions to supermassive black holes might be responsible. Speaking of black holes, what could be stranger? 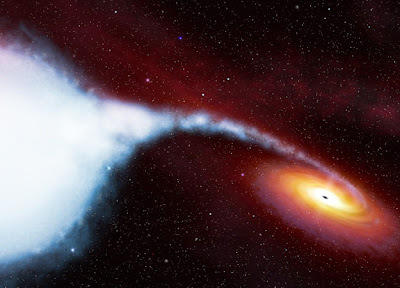 Beyond a black hole's gravitational border -- or event horizon -- neither matter nor light can escape. 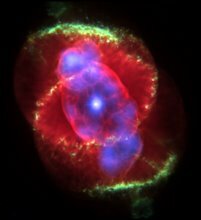 Astrophysicists think dying stars about three to 20 times the mass of the sun can form these strange objects. 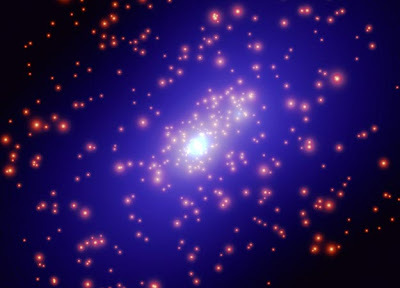 At the center of galaxies, black holes about 10,000 to 18 billion times heavier than the sun are thought to exist, enlarged by gobbling up gas, dust, stars and small black holes. What about mid-sized types? Perhaps surprisingly, evidence is both scarce and questionable for their existence. The sun spins about once every 25 days, gradually deforming its magnetic field. Well, imagine a dying star heavier than the sun collapsing into a wad of matter just a dozen miles in diameter. 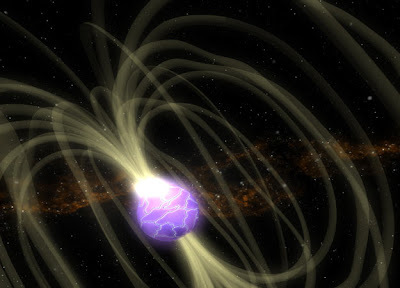 Like a spinning ballerina pulling his or her arms inward, this change in size spins the neutron star -- and its magnetic field -- out of control. Calculations show these objects possess temporary magnetic fields about one million billion times stronger than the Earth's. That's powerful enough to destroy your credit card from hundreds of thousands of miles away, and deform atoms into ultra-thin cylinders. Pull out a dime from your pocket and hold it up for a second... guess what? About 150 billion tiny, nearly massless particles called neutrinos just passed through it as though it didn't even exist. 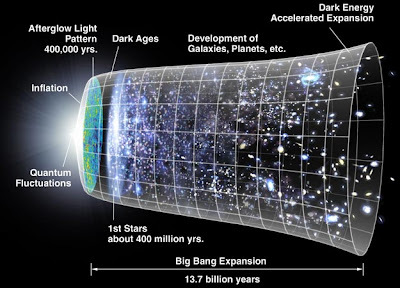 Scientists have found that they originate in stars (living or exploding), nuclear material and from the Big Bang. The elementary particles come in three "flavors" and, stranger still, seem to disappear on a whim. Because neutrinos occasionally do interact with "normal" matter such as water and mineral oil, scientists hope they can use them as a revolutionary telescope to see beyond parts of the universe obscured by dust and gas. If you put all of the energy and matter of the cosmos into a pie and divvy it up, the result is shocking. All of the galaxies, stars, planets, comets, asteroids, dust, gas and particles account for just 4 percent of the known universe. Most of what we call "matter" -- about 23 percent of the universe -- is invisible to human eyes and instruments. Scientists can see dark matter's gravitational tug on stars and galaxies, but are searching feverishly for ways to detect it first-hand. They think particles similar to neutrinos yet far more massive could be the mysterious, unseen stuff. 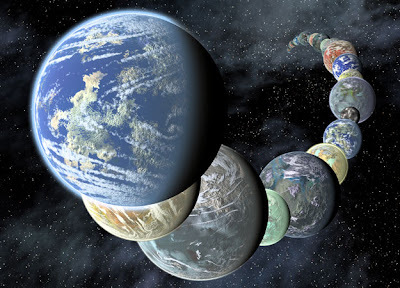 It might sound strange because we live on one, but planets are some of the more mysterious members of the universe. So far, no theory can fully explain how disks of gas and dust around stars form planets -- particularly rocky ones. Not making matters easier is the fact that most of a planet is concealed beneath its surface. Advanced gadgetry can offer clues of what lies beneath, but we have heavily explored only a few planets in the solar system. Only in 1999 was the first planet outside of our celestial neighborhood detected, and in November 2008 the first bona fide exoplanet images taken. Scientists have fine-tuned just about every equation and model to describe and predict gravity, yet its source within matter remains a complete and utter mystery. Some think infinitesimal particles called gravitons exude the force in all matter, but whether or not they could ever be detected is questionable. 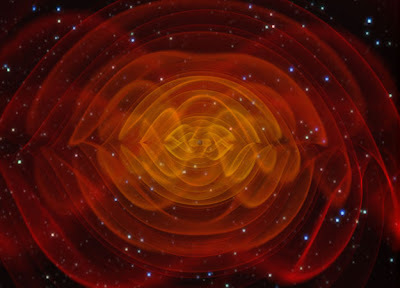 Still, a massive hunt is on for major shake-ups in the universe called gravitational waves. If detected (perhaps from a merger of black holes), Albert Einstein's concept that the universe has a "fabric" of spacetime would be on solid ground. The source of energy, matter and the universe itself is the ultimate mystery of, well, the universe. Based on a widespread afterglow called the cosmic microwave background (and other evidence), scientists think that the cosmos formed from a "Big Bang" -- an incomprehensible expansion of energy from an ultra-hot, ultra-dense state. Describing time before the event, however, may be impossible. 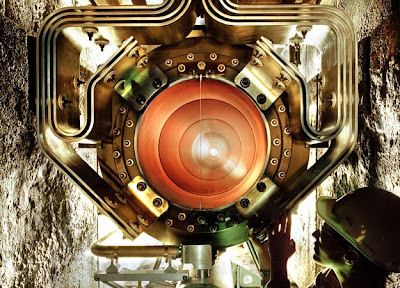 Still, atom smasher searches for particles that formed shortly after the Big Bang could shed new light on the universe's mysterious existence -- and make it a bit less strange than it is today. Article posted October 31, 2008. "La mejor vacuna contra la melancolía/ es llenar la vida de canciones y de amor..."
"Que corra la voz/ que corra veloz/ de que no hay nada como una canción..."
Tanto sobre la física del tiempo, variable subjetiva que aparentemente fluye en una sola dirección y sentido, pero que no ha sido así para todo el mundo (Relatividad...) o en todas las culturas (tiempo espiral de Tíbet, Época del Sueño para los aborígenes australianos...). Esta canción la conozco gracias a Marisina. Sabía que me iba a encantar, como a ella. Lo que más me gustó fue que no está planteada como crítica a nadie; es un llamamiento positivo y esperanzado, un recordatorio de cosas muy generales que hay que aplicar de verdad, más allá del tópico, sólo de palabra (lo confirma la experiencia). 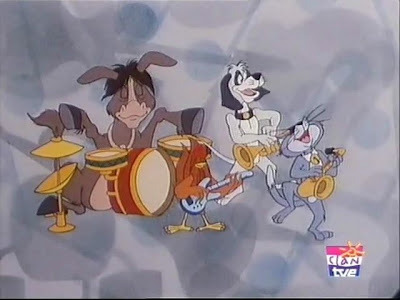 "Awrence, tú dices que nada está escrito..."
Recomiendo el recital entero (búsqueda Youtube: "Pavarotti Recital 1978"). The Water Tribune is the school of thought which has been created, parallel to the visual, cultural and leisure elements of the Expo in response to the requirements of an International Exposition which stems from the will to stimulate reflection, debate and a search for solutions in relation to water and sustainability. To compile and synthesize universal knowledge in order to contribute to the reorientation and improvement of the current models and systems in place regarding water and sustainable development for the 21st century, from the perspective of innovation. This objective will be attained through the development of a series of activities (Themed weeks, Agora, Events and Parallel Meetings) and the participation of the most relevant international players from today’s water scene. The mission of the Water Platform, the intellectual vehicle for Expo Zaragoza 2008, points toward a meeting of minds regarding the most compelling issues of water and sustainable development, for debate, conciliation, summary, organisation, distillation, edition, publication and diffusion. The legacy of the Water Tribune, as described in the Zaragoza Charter, will contribute to the positioning of Zaragoza as a world authority on water-related issues, able to offer its experience in order to benefit the Mediterranean Basin and the Latin American countries. The Water Tribune, whose role it is to provide the intellectual foundations for Expo Zaragoza 2008 will provide a platform for more than 2000 international experts in the field of water, over ten Themed Weeks divided into 25 major themes. Scientists, technicians, administrators and users, entrepreneurs, politicians, philosophers, academics, researchers, communicators, intellectuals and students will put forward their proposals for public policies, some of which will be new, and others which will recall the valuable knowledge gained in the past. Climate change, the geopolitics of water, health and education will all be elements which are present in the Themed Weeks. This is not only meant for debate, but also as a vehicle to find solutions to the new paradigm for water in the 21st Century. The work sessions, in which experts and members of the public will participate, will take place from 10.00 am to 4.00 pm in the Water Tribune Pavilion. In the final days of Expo Zaragoza 2008, and as a culmination to the Themed Weeks, the International Symposium on Water and Sustainable Development will take place on 11th September. This event will synthesize and bring coherence and meaning to the results and proposals which will be fully documented and publicly announced at the reading of the Zaragoza Charter. The Themed Weeks will be broadcast to the five continents, in collaboration with the World Bank, through several videoconference sessions which will allow the dialogue on water to be carried beyond the banks of the River Ebro. The Ágora is a space within the Water Tribune devoted to citizenship participation. It offers a rich and plural schedule which includes scientists, politicians, communicators and artists. The visitors to the exhibition will have access to the world of water within a context in which their comments, doubts, thoughts or criticisms will constitute the central axis of the sessions. With the aid of state-of-the-art technologies, the virtual visitors will have direct access, in real time, to the development of the sessions and their contributions will also be collected and discussed during the sessions. 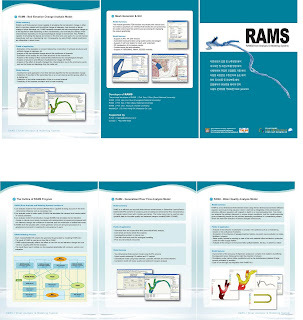 Korea will take part at the Water Tribune through RAMS (River Analysis and Modeling System) , a modeling program developed at the Seoul National University's Environmental Hydraulic Lab. The project is led by Prof. Seo Il Won. All Expo visitors are welcome to joining the session.